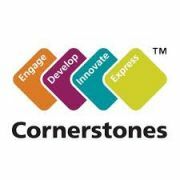 Here at Danetree Primary School we provide a creative curriculum based around the Cornerstones Curriculum, a nationally recognised approach for delivering outstanding learning opportunities for children. Below is a list of the current curriculum webs which we regularly update to show parents and carers what the children will be covering during the term. These are also printed out and sent home in Home Learning folders. Nursery Spring 1 - Where does snow go? Reception Spring 1 - Why do Zebras have stripes?